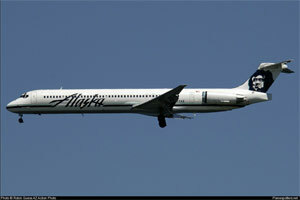 On January 31, 2000, about 1621 Pacific standard time, Alaska Airlines Flight 261, a McDonnell Douglas MD-83, N963AS, crashed into the Pacific Ocean about 2.7 miles north of Anacapa Island, California. All 88 people on board were killed and the airplane was destroyed on impact. Flight 261 was a scheduled international passenger flight from Lic Gustavo Diaz Ordaz International Airport (PVR), Puerto Vallarta, Mexico, to Seattle-Tacoma International Airport, Seattle, Washington, with an intermediate stop planned at San Francisco International Airport, San Francisco, California. The National Transportation Safety Board (NTSB) determined that the probable cause of this accident was a loss of airplane pitch control resulting from the in-flight failure of the horizontal stabilizer trim system jackscrew assembly's Acme nut threads. The thread failure was caused by excessive wear resulting from Alaska Airline's insufficient lubrication of the jackscrew assembly.